What’s more off-centered than an 8K that starts and ends at Dogfish Head?! Now in its 14th year, the 2019 Dogfish Dash is set for Sunday, Sept. 29! As our largest Beer & Benevolence event, the Dash continues to benefit The Nature Conservancy, Delaware Chapter, raising more than $795,000 to date. With deep roots in coastal Delaware, the Dash is just one of many ways we’re able to give back to a community that has helped us nourish those roots and the beautiful surroundings we’re fortunate to call home. When you run the Dash, you’re not only helping a great cause, you’re sure to have fun while doing it! Whether it’s the off-centered distance, the post-race beers or the recycled costume contest, this an event like no other. So lace up those sneakers and get ready to run for nature! 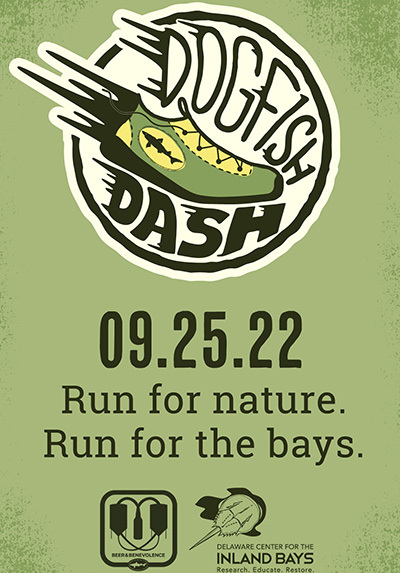 Want to run the 2019 Dogfish Dash? Hit the button. Want to hang out for the day and support those running the Dash? Sign up below.